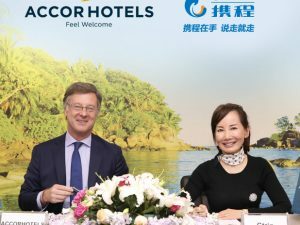 AccorHotels has signed an agreement with Mövenpick Holding and Kingdom Holding to acquire Mövenpick Hotels & Resorts, for an amount of CHF560 million (€482 million). 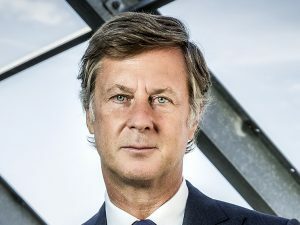 Sebastien Bazin, Chairman and CEO, AccorHotels said, “With the acquisition of Mövenpick, we are consolidating our leadership in the European market and are further accelerating our growth in emerging markets, in particular in Middle East, Africa and Asia-Pacific. The Mövenpick brand is the perfect combination of modernity and authenticity and ideally complements our portfolio.” “Its European-Swiss heritage is a perfect fit with AccorHotels. 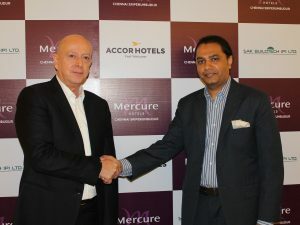 By joining the Group, it will benefit from AccorHotels’ power, particularly in terms of distribution, loyalty-building and development. This transaction illustrates the strategy we intend to pursue with the opening up of AccorInvest’s capital: to seize tactical opportunities to strengthen our positions and consolidate our leaderships, as well as leverage our growth,”Bazin added. 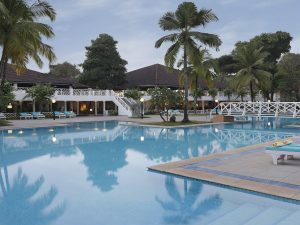 Mövenpick Hotels & Resorts will benefit from AccorHotels’ loyalty programme, distribution channels and operating systems, which will help optimise their performance. This acquisition further consolidates the current footprint in Europe and in the Middle East and accelerates growth notably in key regions where the Group has been established for many years, such as Africa and Asia. The transaction is subject to regulatory approvals. It should be completed during the second half of 2018. One of the key takeaways from the AccorHotels Showcase 2018 was that MiCE is on the rise globally – with multiple events being held internationally, and also in India which is increasingly becoming a chosen destination for MiCE. Furthermore, with globalisation and Indian corporates opening offices around the world, the hospitality industry has seen traction for corporate travel both inbound and outbound. 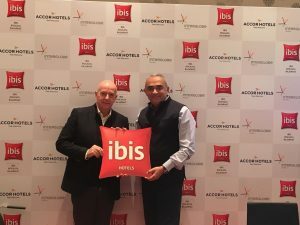 The AccorHotels Showcase 2018 witnessed participation from 35 hotels and resorts from the global network along with 22 hotels from India. The event was the ideal platform to discuss how to work together to benefit from the burgeoning travel market. 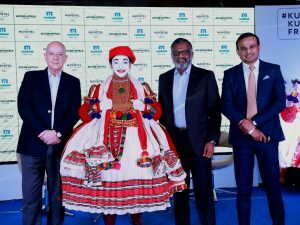 The delegates were representing India’s topmost travel agents, wholesalers, corporate clients, tourism partners and MiCE organisers in attendance. Arif Patel, Vice President – Sales, Marketing, Distribution & Loyalty, AccorHotels said, “By 2020, Indian outbound travel is estimated to reach 48 million and foreign tourist arrivals is forecasted to cross the 10 million mark. 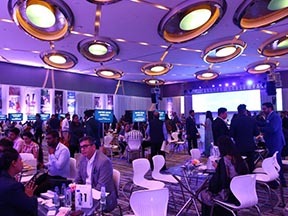 This annual AccorHotels Showcase gives an opportunity for our attendees to engage with AccorHotels’ representatives from around the world to see how best we can work together given the opportunities in the market.” The daylong event in Mumbai on March 21 and Delhi on March 23 was packed with networking sessions where customers discovered the group’s newest offerings and met with hotel representatives from across the region. 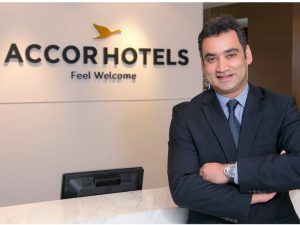 Affirming India to be a major focus area in the Asia Pacific region for AccorHotels, Gaurav Bhushan, Global Chief Development Officer, AccorHotels, reveals that the company is bringing its luxury brands into India this year. “We have a very interesting line up in 2018 for our luxury and leisure hotel brands. Raffles, Fairmont and Banyan Tree are the brands that we are bringing into India. We are very excited about the opportunity. 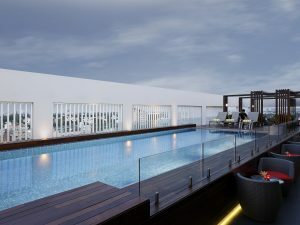 While the mid scale segment is increasing steadily and doing well, there is also a very big opportunity in the luxury, the lifestyle and the leisure space. That is the new frontier from our perspective.” He adds that the company expects to add five hotels with an approximate key count of 1,000-plus rooms to its network in 2018. “We already have 45 operating hotels in India and are actively signing up new hotels. So India is a major focus for us in the Asia Pacific region. And we expect our growth to be very strong and very robust in the next few years,” Bhushan says.